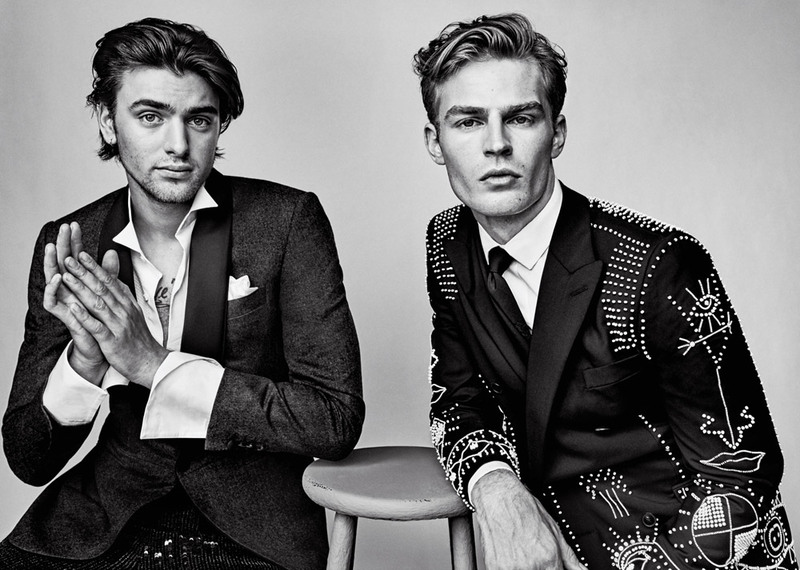 RSVP: The Faces of Ford story captured for VMAN‘s latest edition by fashion photographer Nathaniel Goldberg features styling from Mitchell Belk. Stars of the session are Cole James, Taylor Ashmore, Conrad Bromfield, Logan Macrae, Shaun DeWet, Matt Terry, Jake Davies, Jacques Pougnet, Shade Mullins, Logan Flatte, Ryan Frederick, Brad Kroenig, Ryan Tift, and Lane Foster all with FORD Models. Grooming is work of Saloi Jeddi, with hair styling from Vi Sapyyapy at Management + Artists. For the story models are wearing selected pieces from top brands such as Canali, Burberry, Valentino, Bottega Veneta, Philipp Plein, Versace, Gucci, Hermès, Salvatore Ferragamo, Emporio Armani, Givenchy By Riccardo Tisci, and Louis Vuitton among other.